Mickayel Frenkulyan, had studied at the Oberlin college in USA. He was a professor at the American college of Sebastia. In 1915 he was arrested and killed. A victim of Armenian Genocide. 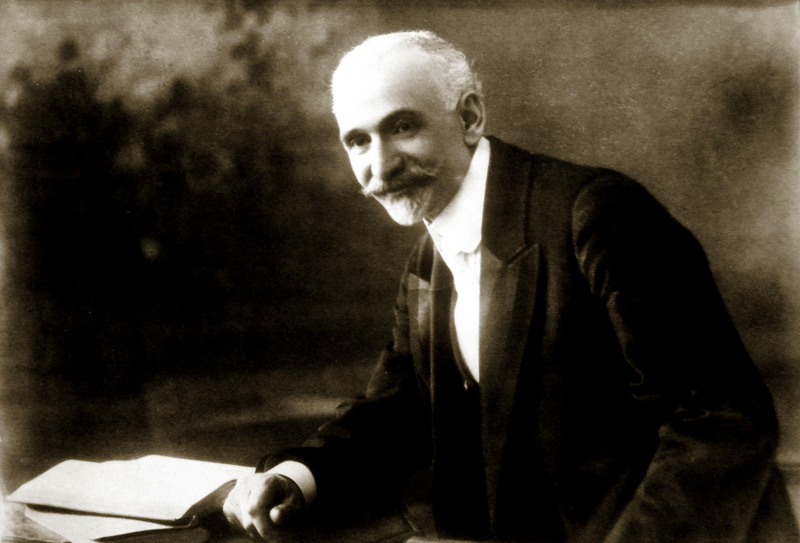 Murad Kyurikyan - one of the famous figures of Hunchak party from Sebastia. He was arrested in 1915. After being subjected to unimaginable sufferings for 40 days, he was violently killed. Victim of Armenian Genocide. Tigran Polatyan was born in 1876. He worked in Adanian and Nersesyan colleges of Aintab as a teacher, and later in Sis, Urfa, Tigranakert etc. In 1915 he was deported to Deyr zor. In the jail he was tortured and then killed in 1916. A victim of the Armenian Genocide. Grigor Mejregian, merchant and statesman. Born in 1863. He was called by Turks Yaver Efendi. Chairman of the Armenian General Benevolent Union. Murdered in 1918. A victim of the Armenian Genocide. 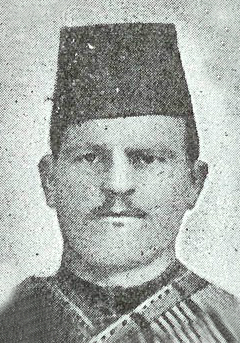 Grigor Torosyan (Kiko) born in 1884, in Akn (Western Armenia, Kharberd province). He has moved to Constantinople in his childhood. 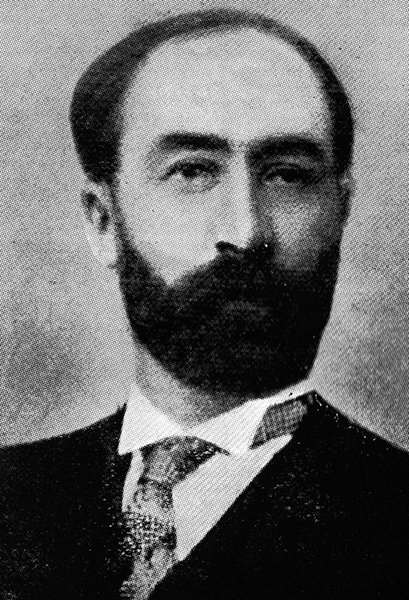 Torosyan was a publisher, editor and humorist. He had published "Calendar of Kiko" for five years. He was arrested and killed in 1915. 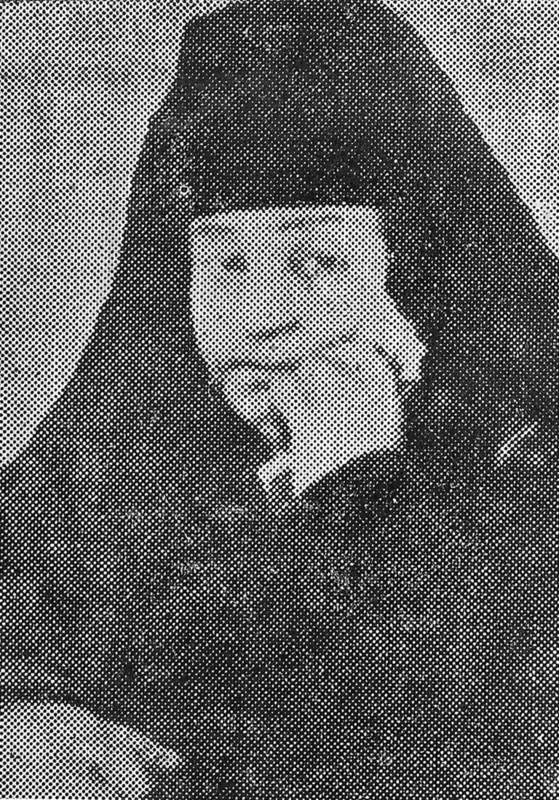 Sister Haji Yeghisabet Labashian, born in 1863, in Yarpouz (Ottoman Empire, Adana province). Preacher of "Brotherhood of Love" organization; (currently "Brotherhood Of Church Lovers of Armenian Apostolic Church"). 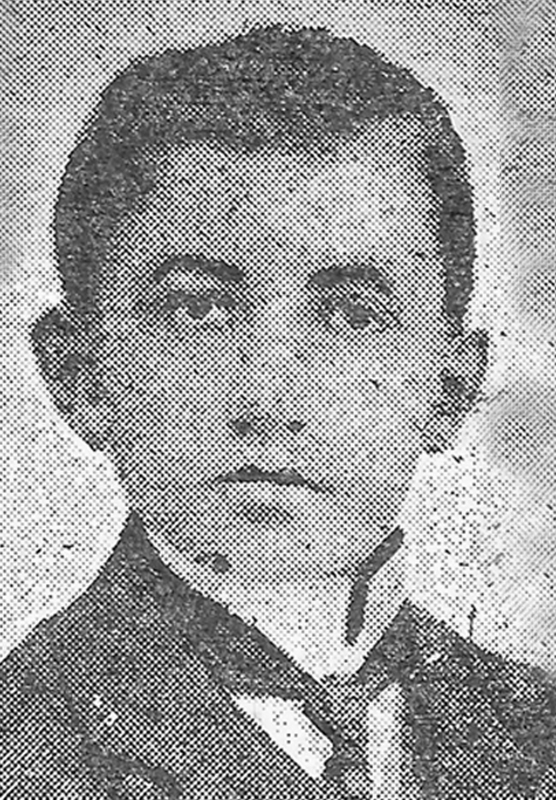 Killed in 1915. A victim of the Armenian Genocide. Avetis Jrasunian, a merchant from Tokat, a wealthy landowner. He was killed by Turks in 1915. A victim of the Armenian Genocide. Magsut Epregjian was born in Malatia (Western Armenian, Kharberd province). He studied in Tokat, but could not receive his higher education because of the started war. He was arrested and killed in 1915. A victim of the Armenian Genocide. Zeron Sinapian, a dyer of fabric-cloths in Stanoz. Was killed in 1915. A victim of the Armenian Genocide. Araxia Jebejian was born in 1880 in Aintab (Aleppo province of the Ottoman Empire). She studied at local Hayganushian high school and continued her education at the American colleges of Aintab and Marash. As a teacher she worked in the collage of Marash and Grtasiradz high school of Aintab. In 1912, she moved to England and attended the Theological College courses of Woodbrook. In 1914, she returned back to Aintab. In 1915, she was deported along with her family. 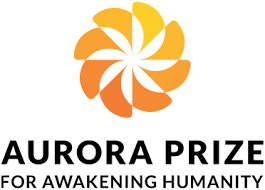 Reaching Der Zor, she managed to help the Armenian refugees. However, after appointing Armenophobic Zeki Bey as a governor of the region, the extermination of the Armenians who reached Der Zor was launched on. 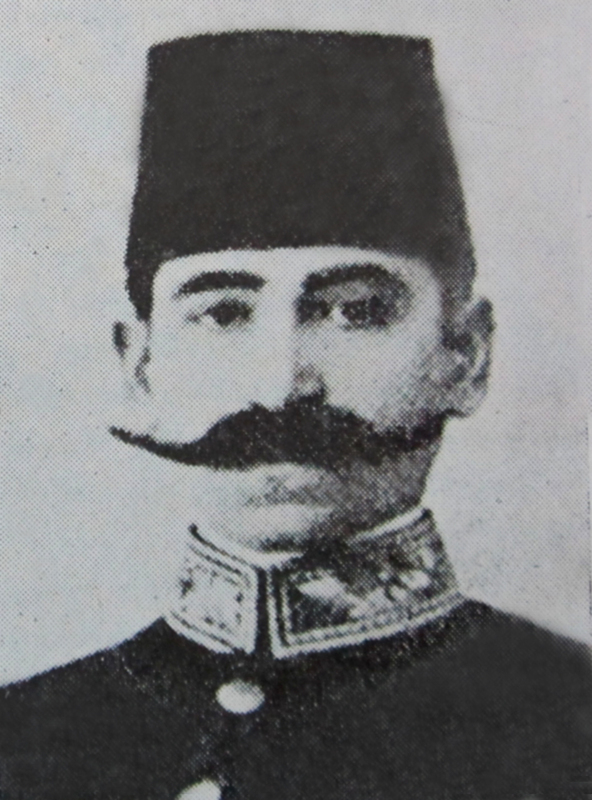 Araxia Jebejian was killed in 1916 by the hand of Zeki Bey personally. A victim of the Armenian Genocide. Khosrov Kyourkjian, the son of a famous silk manufacturer in Kharberd Grigor Kyourkjian. He had attended the preliminary school in Kharberd, than in 1883 went to Leon (France) and explored silk manufacturing for a year. In 1884, he returned back to Kharberd bringing with him the necessary machines for silk manufacturing. He then reequipped his fatherвЂ™s factory and took over the management. In 1895, the factory was destroyed by the Turkish troops. To save his family from impending threat he seemingly accepted Islam. He was succeeded to send his wife and two sons to the United States. Realizing that he had converted to Islam to gain time the Turks had brutally punished him by hacking to death. A victim of the Armenian Genocide. Hovhanes Gazanchyan was born in Evdokia (Tokat, Western Armenia, Province of Sebastea (Sivas) in 1870. Together with his friends he published weekly newspaper "Erakhayriq" in 1883-1885. At the age of 19 he left for Constantinopole (Istanbul) to enter Law lyceum. He contributed to "The East", "The East Press" of Izmir and "Monthly Review" of Vienna newspapers. He published "Evdokio Armenian Province dialect" scientific work in 1899, for which he was awarded Izmiryan Prize. 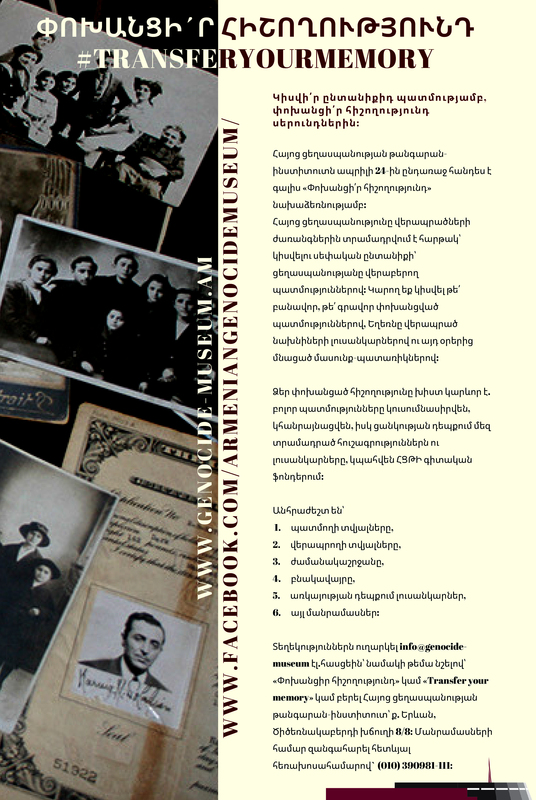 He published a manual in three volumes named "The Grammar of Modern Armenian language" in 1908-1910. He had been the juror of Tokat province counsel and member of Educational counsel. He was arrested in May, 1915, and violently assassinated in June. A victim of the Armenian Genocide. Grirgor Barsamian was born in the village of Apuchekh in Akn (Western Armenia, Kharbert Province). He moved to Constantinople with his brother and was involved in trade. He had two sons and a daughter. He was murdered in 1915. A victim of the Armenian Genocide. Suren Galemian was born in the village of Kushna in Arabkir (Western Armenia, Kharbert Province). He studied in Brusa College of Sericulture, than moved to Armash Clerical collage. In 1909 he was ordained as a celibate priest. He was a preacher at St. Garabed Church in Skyutar. In 1910 tought Religious Studies at the Central College, then in 1911-1915 worked in Baghesh (Bitlis). He was martyred in 1915. A victim of the Armenian Genocide. 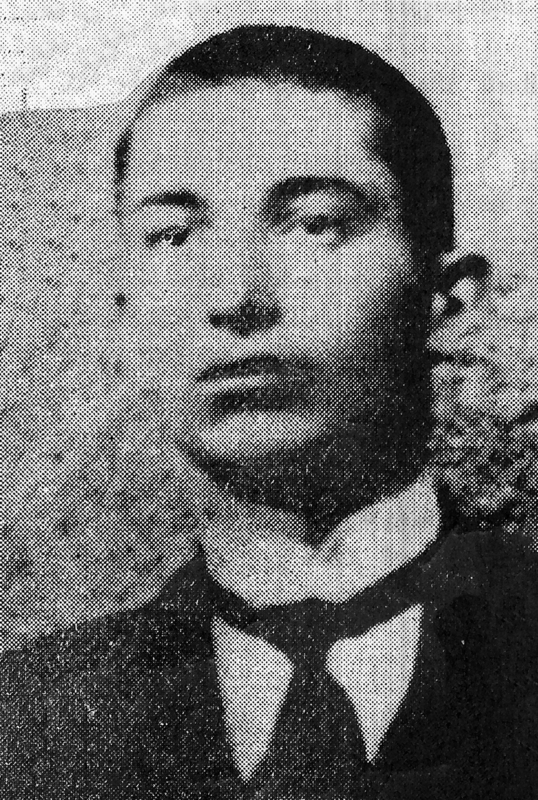 Davit Shirinian was born in 1861, in a Sebastian family. He graduated from Beirut French University as pharmacist. Davit Shirinian had a pharmacy in Yedovkia (Tokat). He was killed by the Turks in 1915. A victim of the Armenian Genocide. 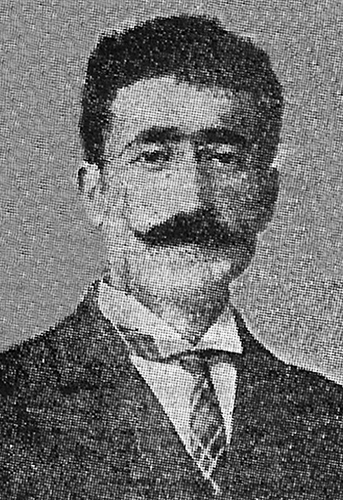 Andon Seraydarian was born in 1882, in Evdokia (Tokat). He had studied at Levonian College in Rome and was ordained as a celibate priest (vardapet) in 1905. 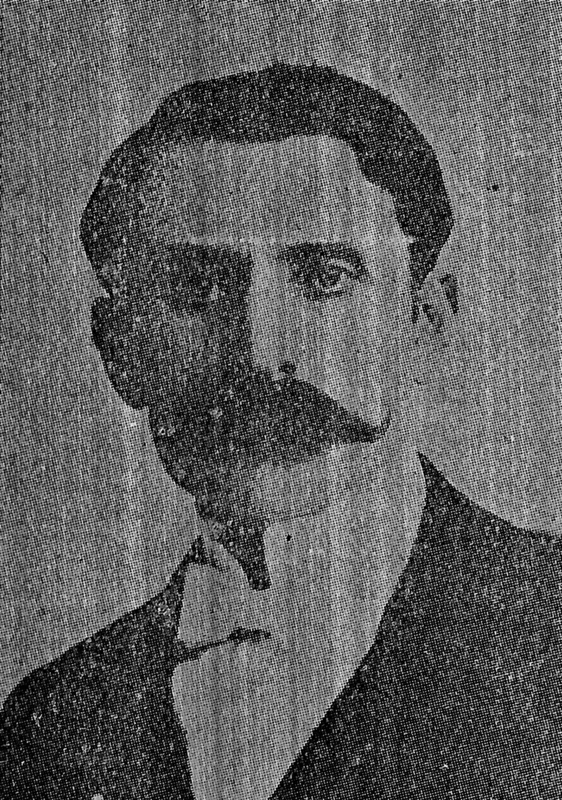 Andon Seraydarian was murdered in 1915. A victim of Armenian Genocide. Abraham Yerevanian, from Charsanchag (Western Armenia, Province of Kharbert). A victim of the Armenian Genocide. 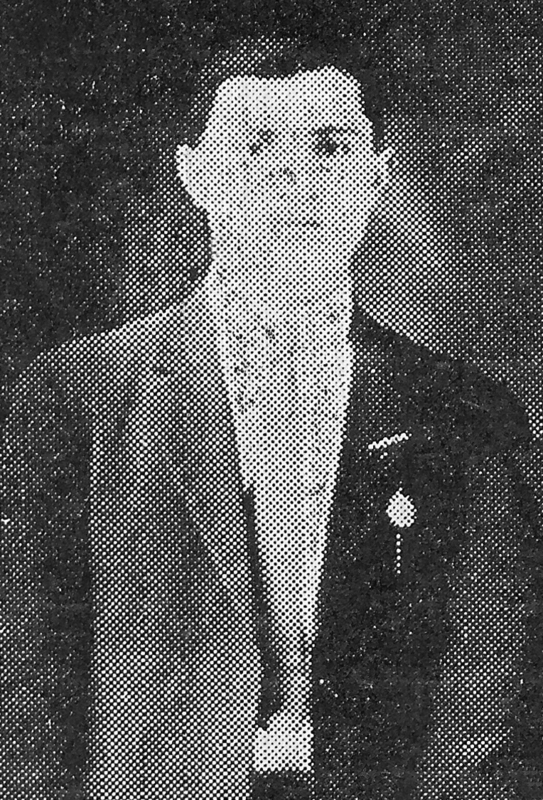 Rafael Darakjian, born in 1891 in Balu (Western Armenia, Diyarbakir Province). In 1914, he was drafted into the Turkish army and was killed after a while. He was married to Azniv Ter Gourgenian and had a daughter. A victim of the Armenian Genocide. Aram Varzhapet was a teacher at the National College of Mashgerd (a village in Kharbert Province, Western Armenia). He was hacked to death by Turks in 1915. A vicitim of the Armenian Genocide. Samvel Kentikyan, was born in 1867 in Arabkir (Western Armenia, province of Kharberd). After graduating from Central Turkish College of Aintab he returned to his hometown and worked as a teacher for one year. He also served as a preacher in Rodosto. Samvel Kentikyan worked as a teacher at the American College of Izmir. He was exiled in 1915 and died in the prison of Konya. A victim of the Armenian Genocide. Bedros Cholakyan, was born in 1883 in Hajen (Adana province). He had been a prominent intellectual not only in Hajin, but also in entire Cilicia. He was a teacher, musician, head of scribes. In 1913, by the invitation of Catholicos Sahak, he moved to Sis to work as a teacher and head of the scribes. In 1915, Cholakyan was exiled to Der Zor and brutally murdered. A victim of the Armenian Genocide. Artashes Varzapetian from the village of Datem (the province of Kharberd, Western Armenia). He was one of the prominent public figures of the vilage. From 1913 to 1914 he taught at the local school. 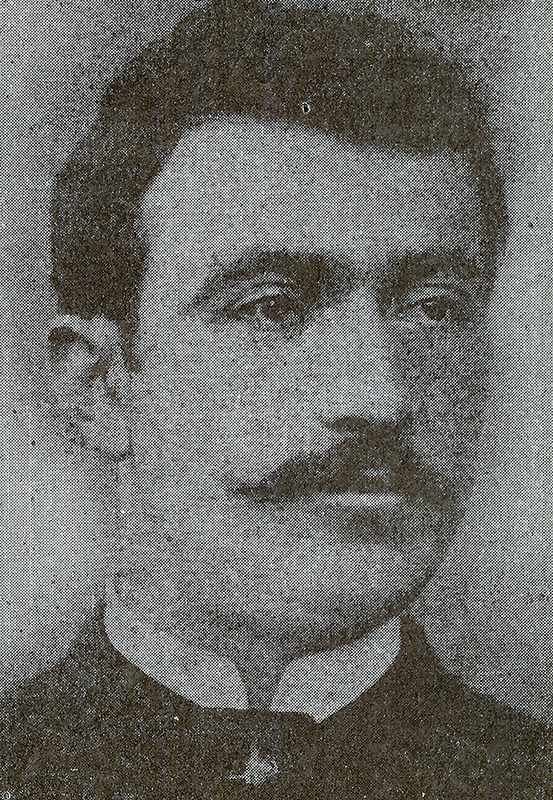 Artashes Varjapetyan was killed by Turks in 1915. A victim of the Armenian Genocide. Vartan Vartaped from the village Aharonk, the province of Sasoun. He was ordained a priest in 1890 and held other positions in the church. Vartan Vartaped was the abbot of Sourb Karabed church for many years. He was burnt alive by the Turks in 1915. A victim of the Armenian Genocide. Asadur Haytayan, was born in the village of Datem (Western Armenia, Kharberd province). He was one of the leading public figures in the village. In 1915 he was arrested, tortured, and killed by the Turks. A victim of Armenian Genocide. Mihran Ispiryan, was born in 1873 in Sebastia. In 1892 he was an Armenian language teacher at Central College of Sebastia. For many years he held the post of inspector-lecturer at the college and National orphanage of Sebastia. On 2 July 1915 he was put into jail and brutally murdered. A victim of the Armenian Genocide. 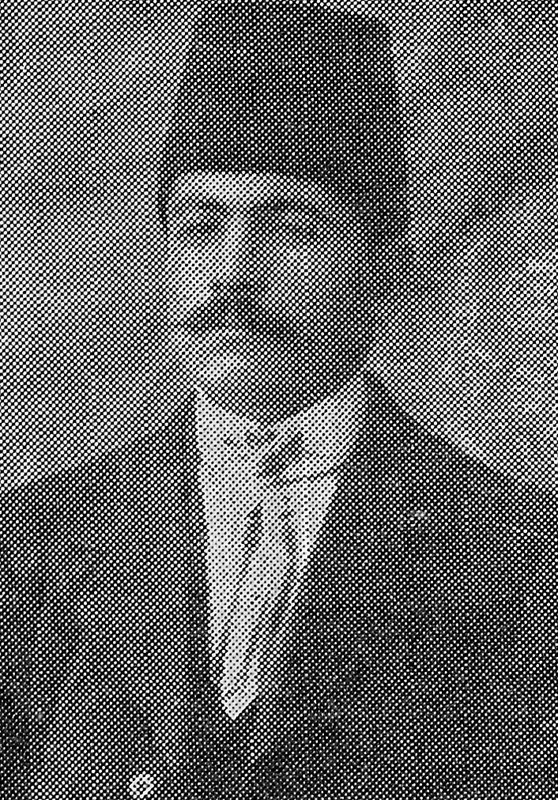 Aghajan Ter Petrosyan _ a member of the municipal council of Urfa and the State Court of Urfa from 1908 to 1915. He was deported and murdered by the order of the Turkish Government in 1915. A victim of the Armenian Genocide. 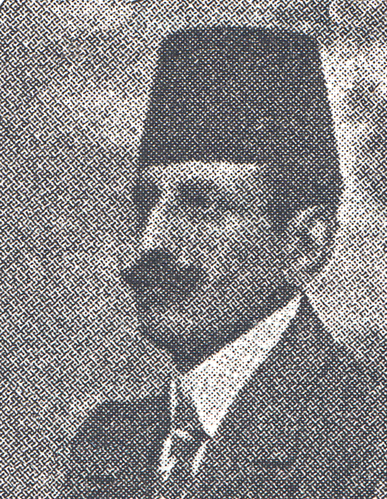 Khosrov Tatyan served in the position of a treasurer at Urfa government building from 1908 to 1915. He was killed in 1915 by the order of the Turkish government. A victim of the Armenian Genocide. Gaspar Agha Gyulbenkian was born in Talas in 1835. He owned a large farm in Sebastia area. He fell victim to the 1915 deportations and massacres along with those Armenians from Talas. A victim of the Armenian Genocide. Tcheprayel Iblikchyan being born in Kesariya, lived in Constantinople. He had got engaged in silk fabric trade and founded "Iblikchyan" trade house. He was arrested on April 18, 1915 and killed on the deportation way to Diyarbekir. A victim of the Armenian Genocide. 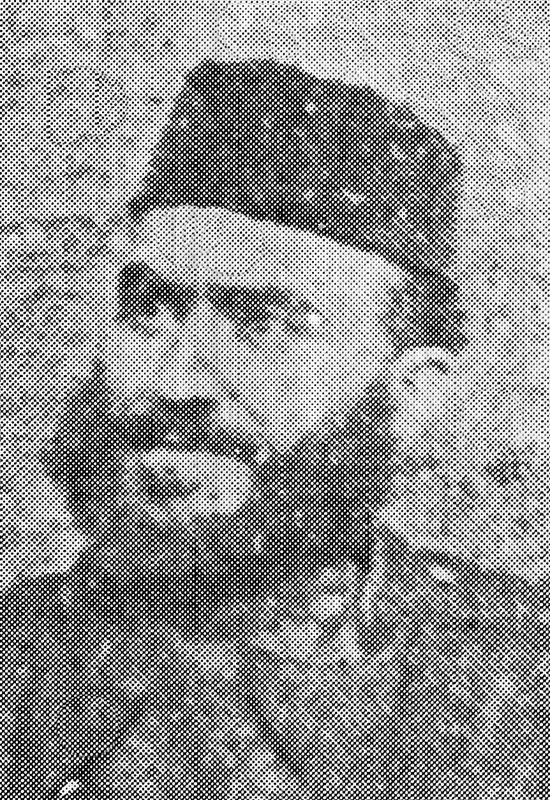 Hovhannes Palapanyan. Graduated from Marzvan college and University of Glasgow. He was killed on August 15, 1915. Rebecca Tursunyan, killed in 1915. She was a victim of the Armenian Genocide. Ruben Yalnizian was born in Stanoz. In 1914 was drafted into the Ottoman army. He was disarmed and killed in 1915. Karapet Markosyan was born in Stanoz. He was admitted to the college in 1914. He was killed in Caesarea in 1915. Arshak Tutunjyan was born in 1878, in Yerznka. Alumnus of Yeznikyan college. Taught in Yerznka, Kemakh and Karin. Preached in Khnus for a long time as a protestant Reverend. From 1903 worked as a correspondent for Armenian newspapers in Turkey. A victim of the Armenian Genocide. 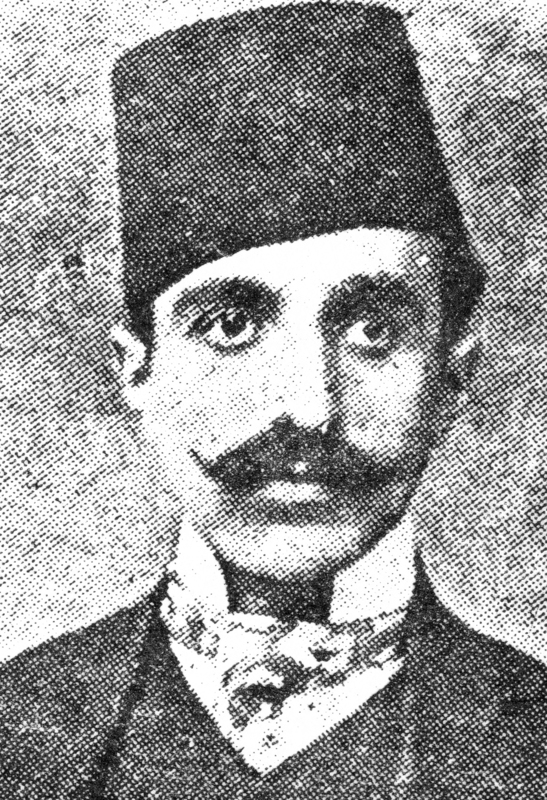 Minassian Sargis (Aram Ashot) - born in 1873. An editor, lexicographer, public figure. 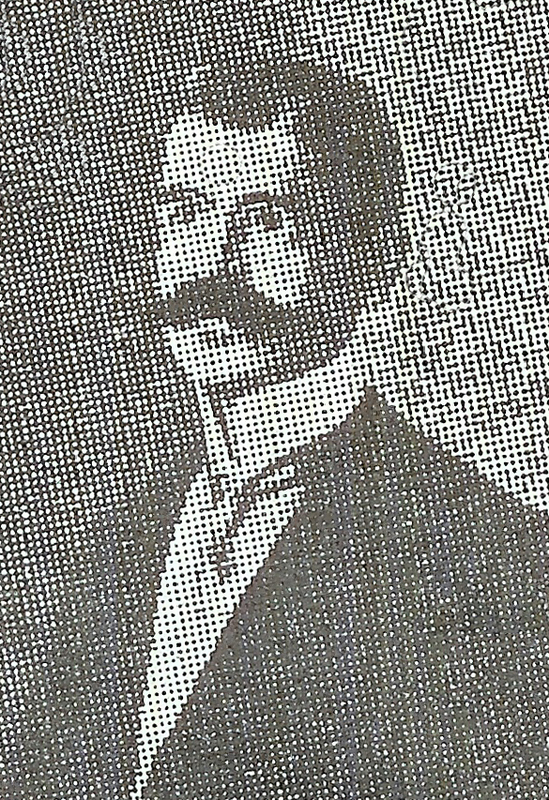 He had graduated from the Partizak Central college, studied in Geneva from 1894 to 1903. Collaborated with the newspapers "Azadamard" and "Droshak". He also worked in "Hayreniq" journal in Boston as an editor. Since 1909 he had worked as a teacher in Constantinople. He was a member of the National parliament. A victim of the Armenian Genocide. Karapet Parsamyan was born in Sebastia. After the proclamation of the Constitution he founded a printing house. He was publishing "Hogdar" and "Kapira" newspapers. He was a victim of the Armenian Genocide. 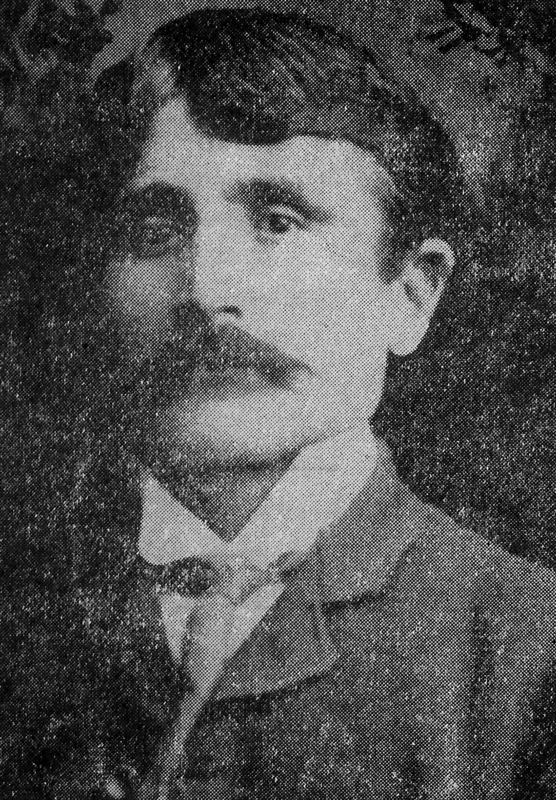 Sargis Barsegyan (Shamil) was born in 1875 in Gandzak. Till 1891 studied at Nersesyan school in Gandzak. After graduation he left for Switzerland to get a higher education. Sargis Barsegyan was a member of Dashnaktsutyun party. In 1915 April 24 he was among the first arrested leaders of the Dashnaktsutyun party. Was exiled in Ayash. Was killed in surburbs of Ankara. Onnik-Zhirayr (Onnik Srapyan) was born in 1878 in Yerznka. He was a member of Dashnaktsutyun (ARFD) party. Together with Partogh Zoryan founded book store and publishing house В«LousaghbyurВ». In April 24, 1915 was arested in Bakhlarbashi Ijadise and was exiled to Ayash. Was killed in Ankara. Stepan Miskjyan was born in 1852 in Constantinople. He got educated in the school of Ortakoy, then in 1878 graduated from the Imperial Medical College. He was a victim of the Armenian Genocide. 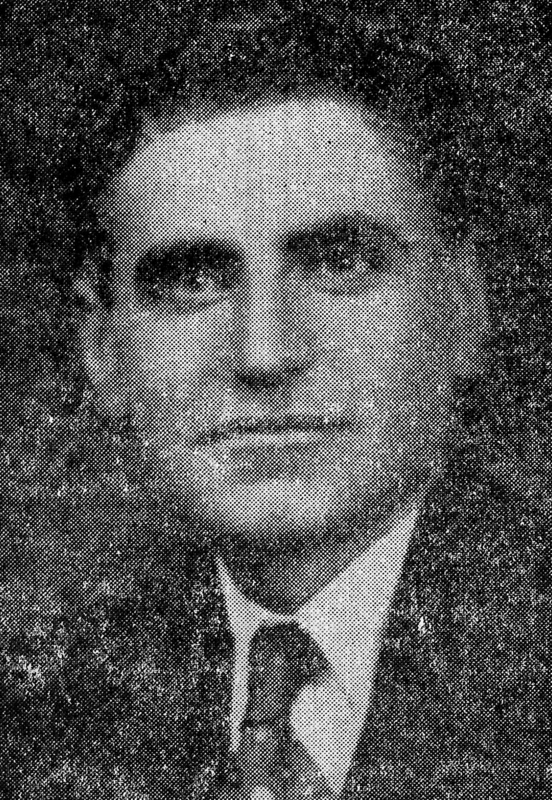 Hrand Arslanyan born in 1886. He was graduated from Medical University of Beirut. The victim of the Armenian Genocide. Gegham Vanikyan was born in Van in 1884. He was graduated from Yeremyan College. Was hanged by the Young Turks at June 15, 1915 at the Sultan Bayezid square in Constantinople. Petros Penne (Petros Manoogian) was born in 1881 in the village of Huseynik in Kharberd. He was graduated from the Euphrates College. Then, worked as a teacher at the school Tlkatintsi. In 1910 graduated from the Faculty of Medicine at the American University in Beirut. Gnchyakyan party representative. Was hanged by the Young Turks at June 15, 1915 at the Sultan Bayezid square in Constantinople. Eruhan (Yervant Srmakeshhanlyan) - a teacher and translator. He was born in 1870 in Constantinople. He studied at the Central gymnasium and Nersisian gymnasium. The editor of the newspaper "Arevelk" (East). In the years 1910-1913 the director of the national school of Surb Khach (Holy Cross). The last director of the National Central gymnasium in Mezire. The victim of the Armenian Genocide. Vardapet (archimandrite), Gevorg Turyan was born in 1872 in Rodosto. He studied at the Theological School of Jerusalem. In 1906 he took degree of Professor of Theology at University of Dorchester. In 1911 he was ordained vardapet (archimandrite). He was teaching philosophy and theology at the seminary of Armash. Since 1912 he was the vicar general of the diocese Trebizond. The victim of the Armenian Genocide. Bishop Yeznik Galbakchyan, was born in 1860 in Constantinople. He studied in Galatasaray college. In 1886 he was ordained vardapet (archimandrite), at 1912 - bishop. Until 1915 he was the head of the diocese of Palu. Victim of the Armenian Genocide. Bishop Khosrov Behrikyan, was born in 1869. He was ordained vardapet (Archimandrite) in 1895. He was the head of the diocese of Caesarea until 1915. Victim of the Armenian Genocide. Bishop Smbat Saadetyan, was born in 1871 in Adabazar. In the 1895 he was ordained vardapet (archimandrite). Preaching in Armenian villages of Geyve (1896), as well as in the churches of Istanbul's districts Balat and Gedik Pasha (1897). In 1910 he was ordained bishop. From 1898 to 1907, he was the head of the diocese of Shapin-Karahisar and later until 1915 the leader of the Diocese of Karin. Victim of the Armenian Genocide. 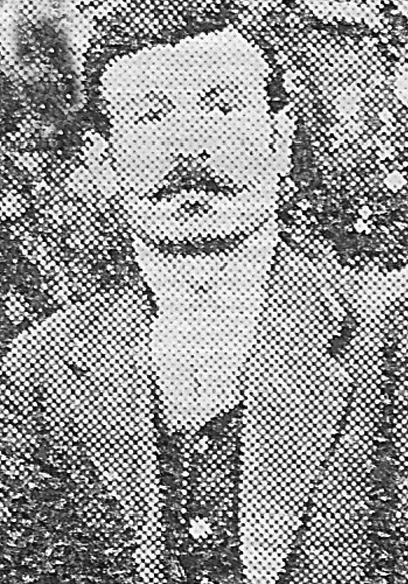 Levon Aslanian was born in 1867 in Kharberd. In 1905 he was graduated from Medical College of Constantinople. In the same year he moved to Trebizond and worked in Healthcare system of the city. He became a victim of the Armenian Genocide. Aghababyan Levon was born in 1887 in Baghesh and graduated from the Sanasaryan College. From 1908 to 1914 he was first a teacher then a headmaster at the national colleges of Akshehir and Kutahya. He was a teacher of mathematics, opened a private school in Kutahya which worked for only three years and also was an editor of вЂњAzatamartвЂќ. He was a victim of the Armenian Genocide. Noratunkyan Serovbe was born in 1884 in Sgherd and graduated from the Sanasaryan College. He was a teacher of the Turkish language from 1903 to 1915 and member of вЂњThe Armenian Revolutionary FederationвЂќ party. He was a victim of the Armenian Genocide. Sargis Suin (Sunkujian) was born on August 15, 1870, in Beshiqtash. He was an officer in the Department of Translation in the Marine Ministry and in the Department of Public Debt from 1892 till 96. He was a victim of the Armenian Genocide. 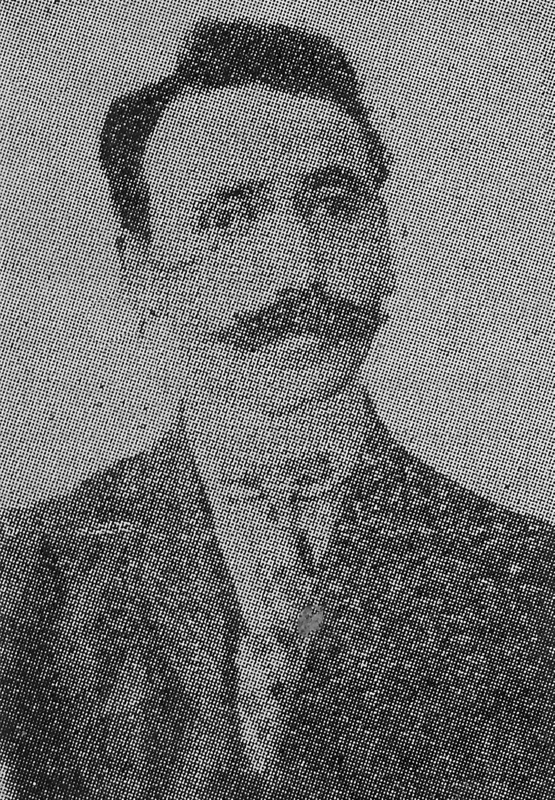 Qlchyan Hovhannes (37 years old), the brother of Haykazn Paruyr (Grigor), who was a member of Hnchakyan party and suffered martyrdom. 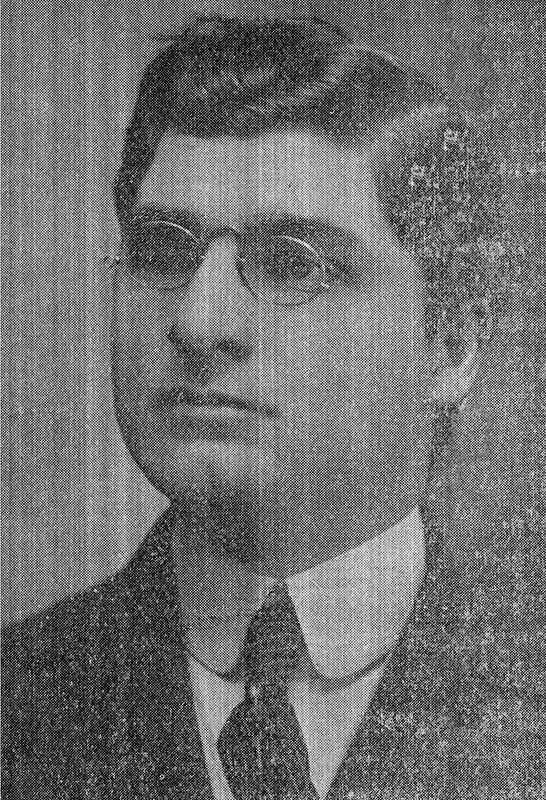 Hovhannes Qlchyan, who published a number of important text books, was a member of Hnchakyan party, too. He was a victim of the Armenian Genocide. Topchyan Hovhannes Ghevond was born in 1890 in Karmir (Red) Village (Kharberd province, Western Armenia). He served in the Ottoman Army from 1910. He was a victim of the Armenian Genocide. Papazyan Martiros was born in 1882 in Bazabon village (Kharberd province, Western Armenia), graduated from the Nersesyan College in 1905, pedagogue. 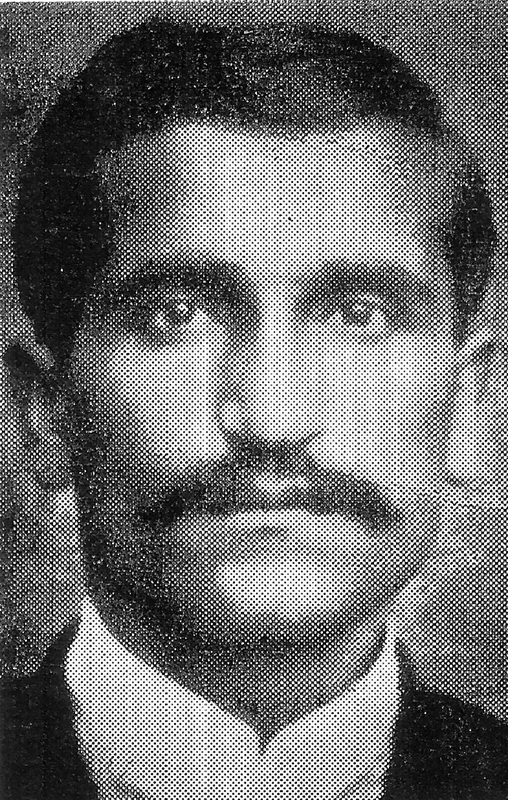 In May 1915, he was arrested and on 11 June was killed on the bank of the river Aratzani. He was a victim of the Armenian Genocide. Qepapjyan Vahe was born in Yerznka city (Erzurum province, Ottoman Empire), a pupil of Yerznka Military School. He was a victim of the Armenian genocide. Heqimyan Fr. Ruben was born in Sisna village (Kharberd province, Western Armenia), pedagogue, in 1907 ordained a priest in St. Astvatzatzin church. He was a victim of the Armenian Genocide. Hovhannisyan Hakop was born in 1890 in Eotemish village-town (Izmir province, Ottoman Empire), doctor, clerk, social-political figure. He was a victim of the Armenian Genocide. Ferukhan Barunak was born in 1884 in Constantinople (Ottoman Empire), violinist, officer in the Finance Ministry. He was a victim of the Armenian Genocide. Tiratsuyan Gevorg was born in 1883 in Izmir city (Izmir province, Ottoman Empire), journalist, social-political figure. He was a victim of the Armenian Genocide. Pashayan Karapet was born in 1864 in Constantinople (Ottoman Empire), doctor, social-political figure, from 1908 deputy in the Ottoman parliament from Svaz, from 1912 deputy in the National Council from Kharberd. He was a victim of the Armenian Genocide. Shahpaz Barsegh was born in 1883 in Constantinople (Ottoman Empire), publicist-editor, social-political figure. He was a victim of the Armenian Genocide. Ter-Stepanyan Artashes was born in 1882 in Grgaghaj village (Izmir province, Ottoman Empire), pedagogue, social-political figure, supervisor of Denizli, Eotemish and Karatash Colleges. He was a victim of the Armenian Genocide. Vramyan Arshak (Derdzakyan Onnik) was born in 1871 in Kosko quarter (Constantinople, Ottoman Empire), social-political figure and from 1908 deputy in the Ottoman parliament from Van. He was a victim of the Armenian Genocide. Ruben Sevak (Chilinkiryan Hovhannes Ruben) was born in 1885 in Silivri village-town (suburb in Constantinople, Ottoman Empire), poet, prose-writer, doctor. He was a victim of the Armenian Genocide. Maghazajyan Onnik was born in 1878 in Constantinople (Ottoman Empire), printer, director of "Arajadimaser ynkerutyun" (Association of Progressive-lover). He was a victim of the Armenian Genocide. Hyormuz Gevorg was born in 1868 in Constantinople (Ottoman Empire). He was a victim of the Armenian Genocide. Peyazyan Etuar was born in 1873 in Constantinople (Ottoman Empire), pharmacist, vice-president of Silkworm College in Prusa, social-political figure, treasurer of В«Ashkhatanqi tunВ» (House of work). He was a victim of the Armenian Genocide. Saryan Markos was born in 1875 in Seolyuz village (Brusa province, Ottoman Empire), social-political figure. He was a victim of the Armenian Genocide. Jepejyan Yervand was born in 1897 in Aintab city (Aleppo province, Ottoman Empire). He was a victim of the Armenian Genocide. 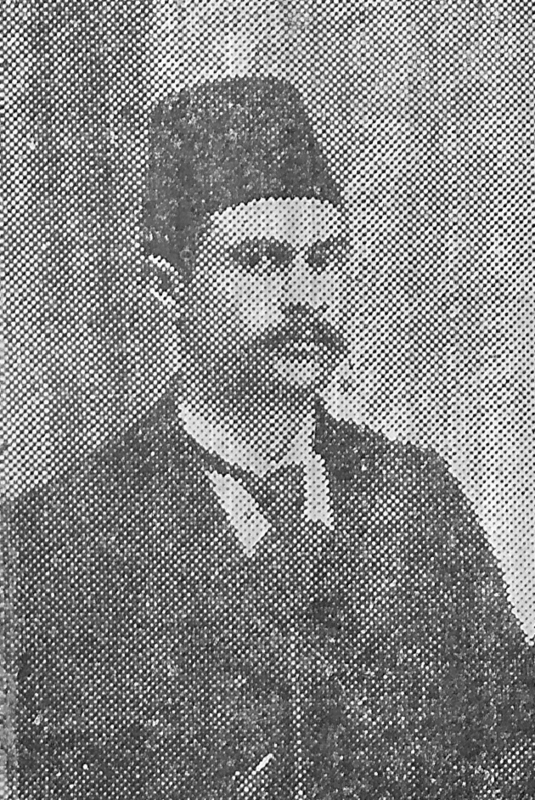 Haykazn Mihrdat was born in 1864 in Constantinople (Ottoman Empire), social-political figure, national deputy, president of the вЂњAharonyan akumbвЂќ (Aharonyan club) in Peshiqtash. He was a victim of the Armenian Genocide. Hambardzumyan Hambardzum was born in 1890 in Constantinople (Ottoman Empire), editor, publicist. He was a victim of the Armenian Genocide. Galfayan Harutyun was born in Constantinople (Ottoman Empire), social-political figure. He was a victim of the Armenian Genocide. The Blessed Ignatius Maloyan was born on March 19, 1869. On October 22, 1911, he was chosen as an archbishop of Mardin diocese and was ordained a bishop by the Most Reverend Archbishop Poghos Petros XIII Terzyan. He was a victim of the Armenian Genocide. Chavushyan Yervand was born in 1866 in Constantinople (Ottoman Empire), teacher, social-political figure. He was a victim of the Armenian Genocide. 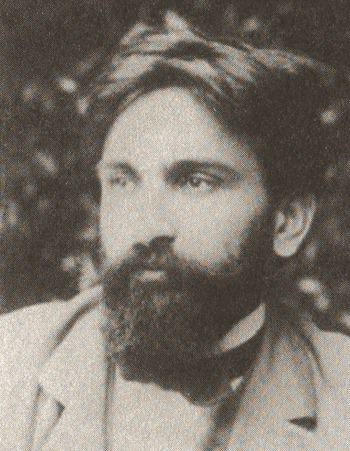 Barseghyan Gegham was born in 1883 in Constantinople (Ottoman Empire), poet, editor, social-political figure. He was a victim of the Armenian Genocide. Aghaser Hakop was born in 1881 in Constantinople (Ottoman Empire), pedagogue, social-political figure. He was a victim of the Armenian Genocide. Priest Movses Zhamkochyan was born in 1837 in Aintab city (Aleppo province, Ottoman Empire). He was martyred in 1915 and was a victim of the Armenian Genocide. Qeshishyan Vardan was born in 1883 in Marash city (Aleppo province, Ottoman Empire), pharmacist. He was killed in 1920 and was a victim of the Armenian Genocide. Qepapjyan Vahe was born in Yerznka city (Erzurum province, Western Armenia), a pupil of Yerznka Military School. He was a victim of the Armenian Genocide. Qeshishyan Hmayak was born in 1887 in Marash city (Aleppo province, Ottoman Empire), doctor, centurion of the IV forces of the Ottoman Army. He was executed in 1915 and was a victim of the Armenian Genocide. Rupyan Elisha was born in 1862 in Marash city (Aleppo province, Ottoman Empire), professor, teacher of Marash Female College, Academy and Jenanyan College in Konia. He was martyred in 1917 and was a victim of the Armenian Genocide. 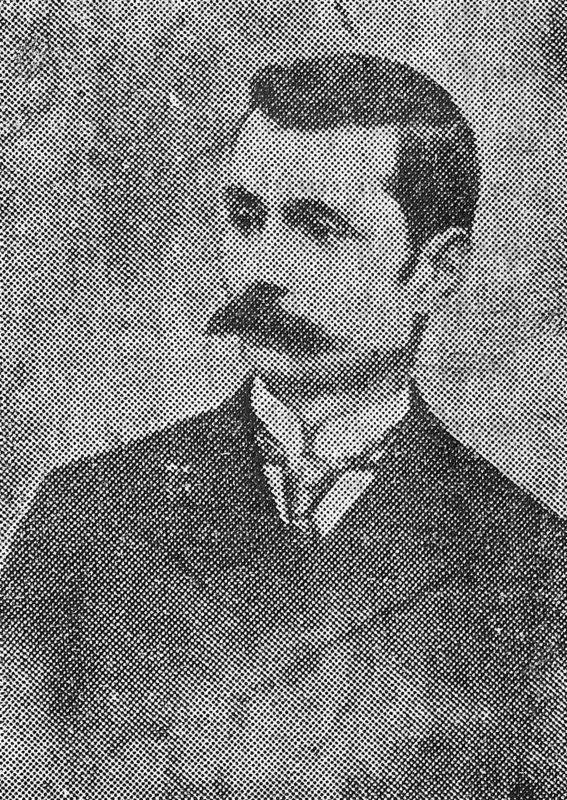 Tishcheqenyan Hovsep was born in 1854 in Marash city (Aleppo province, Ottoman Empire), social-political figure, member of court. He was martyred in 1917 and was a victim of the Armenian Genocide. Vehuni (Garajayan) Hovsep was born in 1882 in Marash city (Aleppo province, Ottoman Empire), graduated from Tarson College in 1907. He was a victim of the Armenian Genocide. Varzhapetyan Kostan was born in 1860 in Marash city (Aleppo province, Ottoman Empire), member of Mejlis Itare. He was martyred in 1917 and was a victim of the Armenian Genocide. Sahakyan Harutyun was born in 1870s in Marash city (Aleppo province, Ottoman Empire), teacher, judge. He was martyred in 1916 and was a victim of the Armenian Genocide. Priest Momjyan Ter Sahak was born in 1868 in Aintab city (Aleppo province, Ottoman Empire), teacher, social-political figure, priest of Saint Hovhannes Church in Qilis. He was a victim of the Armenian Genocide. Voskerichyan Soghomon was born in 1868 in Marash city (Aleppo province, Ottoman Empire), teacher, director of Saint Stephanos orphanage-college. He was a victim of the Armenian Genocide. Pastor Shahinyan Nerses was born in 1860 in Marash city (Aleppo province, Ottoman Empire), teacher, enlightener in Marash Sourb Qarasun mankants church, secretary and advisor of Primacy from 1909 till 1910, social-political figure. He was a victim of the Armenian Genocide. 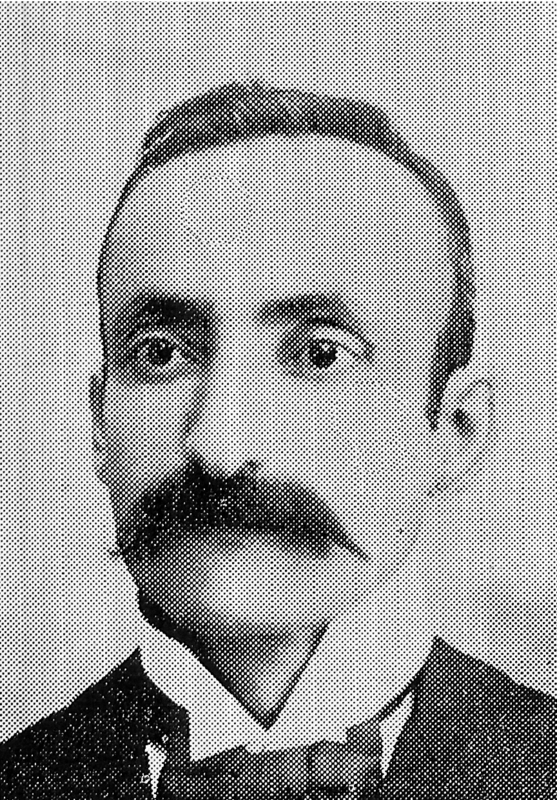 Najaryan Galust was born in 1856 in Marash city (Aleppo province, Ottoman Empire), doctor, worked in Marash German hospital, graduated from Aintab American Medical College, and American University in Beyrut. He was a victim of the Armenian Genocide. Nalbandyan Margarit, (Western Armenia) one of the teachers of Mush Day-School. She was a victim of the Armenian Genocide. Mumjyan Sargis was born in 1846 in Marash city (Aleppo province, Ottoman Empire). He was a victim of the Armenian Genocide. Manikyan Toros was born in 1862 in Marash city (Aleppo province, Ottoman Empire), teacher, social-political figure. He was a victim of the Armenian Genocide. Khachik, was born in Siareb village near Mush, (Bitlis province, Western Armenia). He was a victim of the Armenian Genocide. 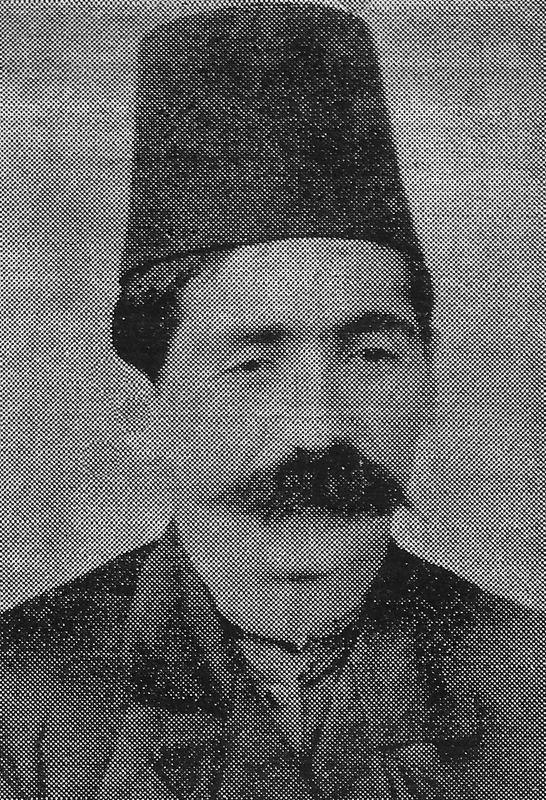 Keyikyan Grigor was born in 1855 in Marash city (Aleppo province, Ottoman Empire), member of Mejlis Itare for about 25 years. He was a victim of the Armenian Genocide. Khrlagyan Hakop was born in 1856 in Marash city (Aleppo province, Ottoman Empire), merchant, social figure. He was a victim of the Armenian Genocide. Inkilizyan Samvel was born in 1881 in Marash city (Aleppo province, Ottoman Empire), preacher, worked in Qilis, graduated from Marash Academy in 1897, Aintab College in 1902, Marash Seminary in 1911. He was a victim of the Armenian Genocide. Tyutyunjyan Tzerun was born in 1867 in Marash city (Aleppo province, Ottoman Empire), merchant, social figure. He was a victim of the Armenian Genocide. Zeytuntsyan Hakop was born in 1884 in Marash city (Aleppo province, Ottoman Empire), Doctor of Philosophy, graduated from Marash Theological Seminary, Denver University (USA). He was a victim of the Armenian Genocide. Arygyan Harutyun was born in 1870 in Marash city (Aleppo province, Ottoman Empire), got education in Marash Central College from 1882 till1 1883. He was a victim of the Armenian Genocide. Byurat Smbat (Ter Ghazaryants) was born in 1862 in Zeytun city (Aleppo province, Ottoman Empire), writer, teacher, social-political figure. He was a victim of the Armenian Genocide. Yeranyan Rev. Hakop was born in 1855 in Marash city (Aleppo province, Ottoman Empire), pastor of Evangelical Church, worked in the regions of Butania and Cesarea and in Taron from April 19, 1903. He worked in the German orphanage in Marash from 1915. Gasapyan Grigor was born in 1877 in Zeytun city (Aleppo province, Ottoman Empire), lawyer, teacher, taught Turkish in Marash Central College from 1911 till 1913, one of the correspondent of вЂњByuzandionвЂќ periodical. He was a victim of the Armenian Genocide. Yaghupyan Khachik was born in 1880 in Zeytun city (Aleppo province, Ottoman Empire), teacher, member of Mejlis Itare. He was a victim of the Armenian Genocide. Chorpajyan Karapet was born in 1853 in Marash city (Aleppo province, Ottoman Empire), teacher, founder of Rubinyan organization in Saint Stephanos church. He was a victim of the Armenian Genocide. Tinjyan Mkrtich was born in 1843 in Kharberd city (Kharberd province, Western Armenia), merchant, member of guardianship of Saint Stephanos Church and school, deputy. He was a victim of the Armenian Genocide. Ter-Petrosyan Mkrtich was born in 1870 in Tzag village (Kharberd province, Western Armenia), musician, teacher. He was a victim of the Armenian Genocide. Sursuryan Asqanaz was born in Huseyniq village (Kharberd province, Western Armenia), photographer. He was a victim of the Armenian Genocide. Santrjyan Rebeka was born in Kharberd city (Kharberd province, Western Armenia), writer and publicist. She was a victim of the Armenian Genocide. Galfaydyan Arsen was born in 1859 in Talas village-town (Ottoman Empire, Angora province), lawyer. He was a victim of the Armenian Genocide. Sutjyan Tutu was born in Zeytun city (Aleppo province, Ottoman Empire). He was a victim of the Armenian Genocide. Hayrikyan Abraham was born in 1870 in Rodosto city (Ottoman Empire, Adrianapole province), Turkologist, teacher, headmaster of вЂњArdiвЂќ college in (Bera) Constantinople, national deputy. He was a victim of the Armenian Genocide. Shushanyan Hakob was born in 1873 in Rodosta city (Adrianapole province, Ottoman Empire), political figure. He was a victim of the Armenian Genocide.